Sophia recommends this free video marketing starter pack. 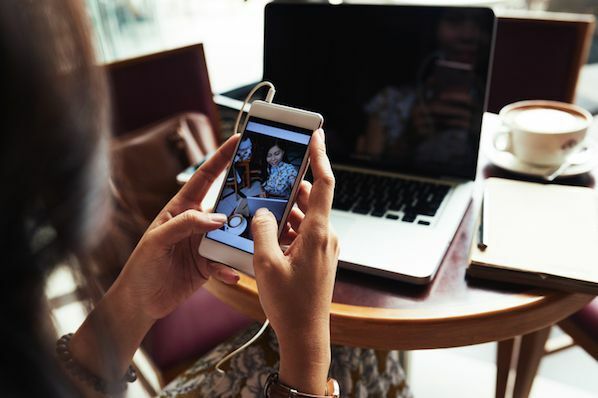 If you're reading this blog post, chances are you already know you should incorporate more video content into your marketing. But like most new strategies, you might need to prove its ROI before you get budget. And that can be tricky, because to make a great video, you need a few things -- like a camera and editing software. You might already have a high-quality camera built into your smartphone, but editing your raw footage and preparing it for publication requires a third-party mobile app. You might even need to hop on the computer for the more extensive post-production projects. There's a good chance you already have video editing software installed on your computer. For Windows, that's Windows Movie Maker, and for Macs, it's iMovie. But depending on the purpose your video is serving -- and the content channel to which you're distributing it -- you may find that these options aren't packed with enough features. The good news: There are several free and inexpensive video editing apps and tools you can download that run the gamut from super simple to Hollywood-level powerful. The following 15 solutions can help you make video magic -- whether your video is meant for Instagram, YouTube, or a similar channel where you audience is hungry for content. The following apps allow you to edit and quickly upload beautiful videos to Instagram. None of these apps are limited to Instagram, but are known for their support of this social network. Video automation is here -- in the form of the Magisto video editor. Magisto allows you to make incredible videos without ever leaving your smartphone in three easy steps: First you'll choose your video editing style (the type of story you're telling), then you'll choose the photos and video clips you'd like included, and lastly you'll pick your music from Magisto's built-in music library. 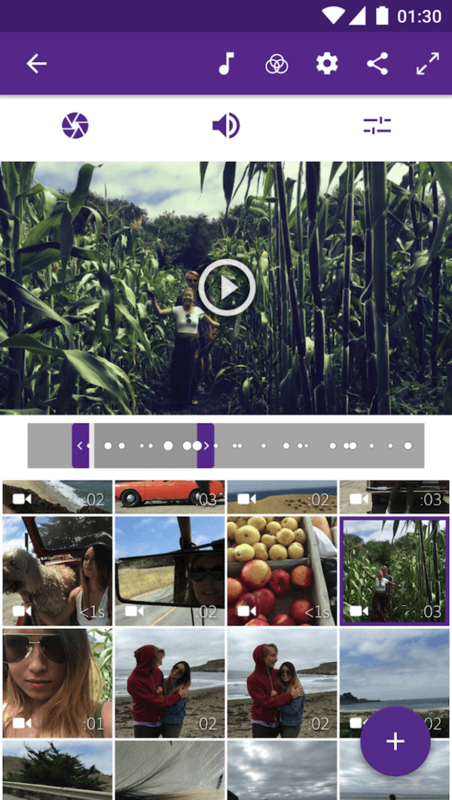 Using artificial intelligence (AI), this intuitive app helps organize your footage in a video that best delivers the message you have in mind. Why not stop at the free version? Upgrade to Premium or Professional for a small monthly fee and make longer movies with more of your own content. Hyperlapse is an app created by Instagram itself that condenses videos into brief, hyper-speed videos that you can upload to Instagram or Facebook. See what happened when I used Hyperlapse to film daybreak at 12X in the video above. Wondershare Filmora (formerly Wondershare Video Editor) is the perfect option if you want to start out with basic video editing functionality with the opportunity to get more advanced as you go. The app is perfect for Instagram, but can create audience-ready videos for numerous platforms. Filmora is available for Windows and Mac computers, whereas the company's FilmoraGo mobile app is free to download for both iOS and Android devices. Filmora's "Easy Mode" strips away the complexity so you can drag and drop video clips, add some music, and produce a finished video in a matter of minutes. 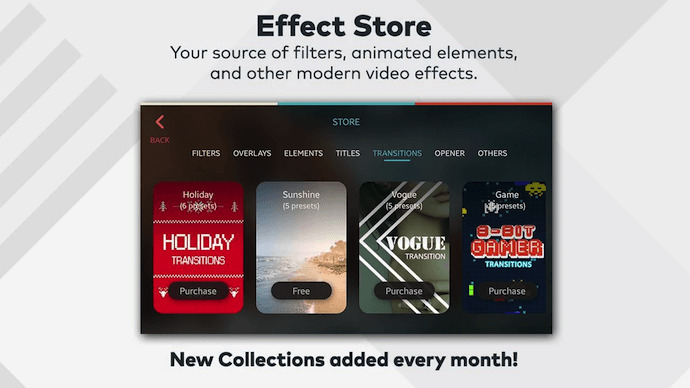 The FilmoraGo app has many of these features, plus an Effect Store where you can incorporate preset intros, themes, and transitions into your video creation. Sound too good to be true? Well, you're right: The free version of Wondershare Filmora adds a watermark to your videos that you can only remove through upgrading to their paid service. The following tools are most versatile mobile apps of all the free software listed in this article. Cloud-based video editing software (i.e., software that you access via a browser instead of downloading directly to your hard drive) is growing more and more popular. One of the programs leading the charge is WeVideo. 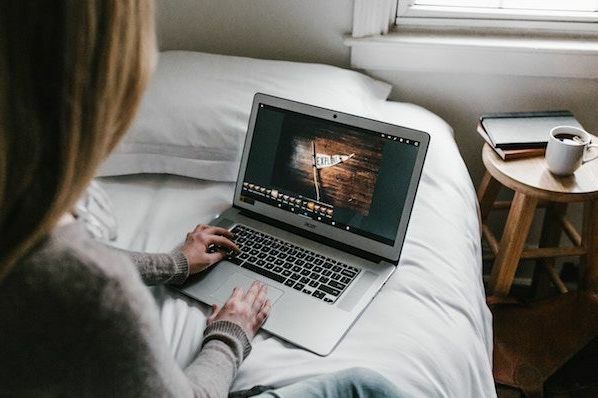 WeVideo definitely offers some advanced features and functionality, including audio editing capabilities, a library of commercially licensed music, and the ability to share videos in 4K resolution. However, the free version of WeVideo isn't without its limitations. One major downside is that you're only given 10GB of cloud storage. If you're making a one-off video, this is fine. But if you're planning to edit multiple videos, you'll definitely need more space. The free version also puts a WeVideo watermark on your videos, which isn't ideal. WeVideo is also available as a desktop computer product, and comes with free and paid plans. For complete breakdown of the differences between these plans, check out WeVideo's pricing page. It only seems fitting that the makers of GoPro would also release an app that allows you -- as the name suggests -- to splice together different video clips on your phone to create a moving collage. We had a lot of fun playing with this one, especially since Splice even contains a library of musical tracks that can be used as a background for your finished product. You can also use the app to trim and edit the different pieces of video, and customize transition lengths from one scene to the next. My colleague, Amanda Zantal-Wiener, experimented with Splice by compiling the above 15-second video of her dog -- using only an iPhone 6. 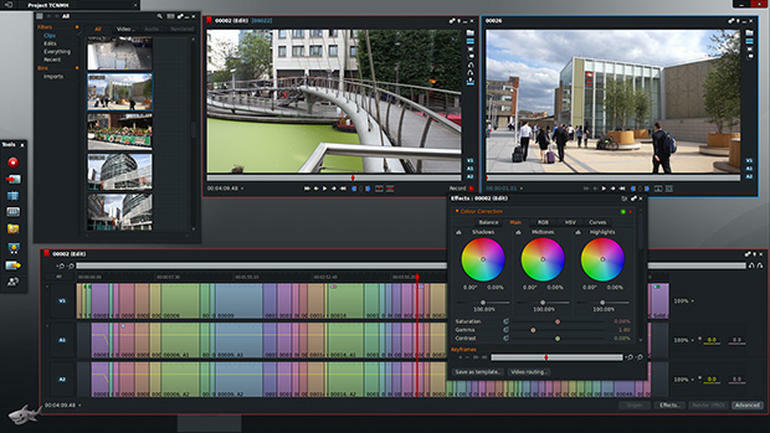 Adobe's popular video editor, Premiere, isn't just available on your mobile device -- it's free. 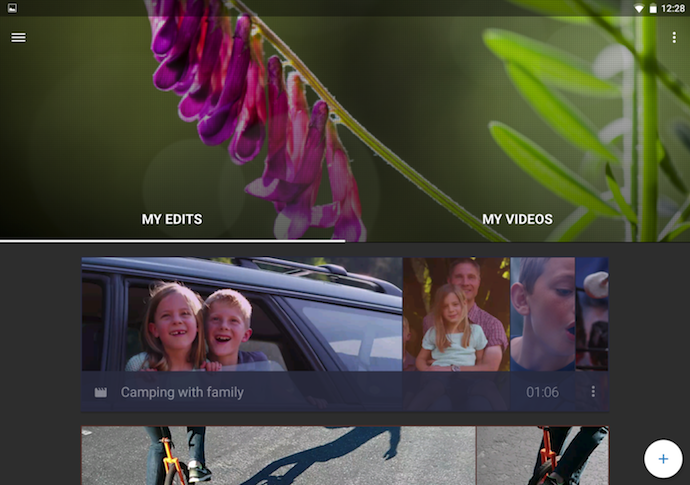 Premiere's equally robust video editing features help you trim, drag, and drop multiple video and image clips -- right from your mobile device's photo and video album -- in the order you'd like. Then, just add proper lighting, manipulate the speed of the video, and share your final product directly on Facebook, Twitter, or YouTube. 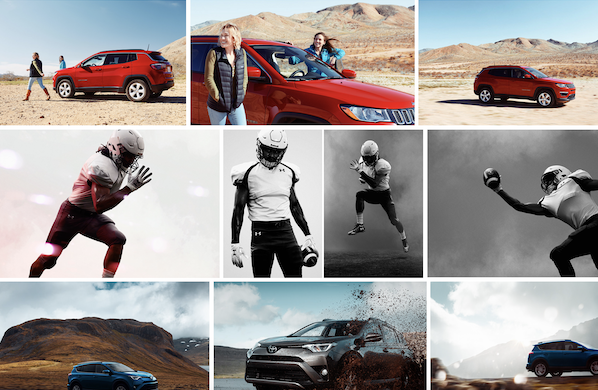 We've already covered the coolness of photo collages. But what if you could make a video collage? 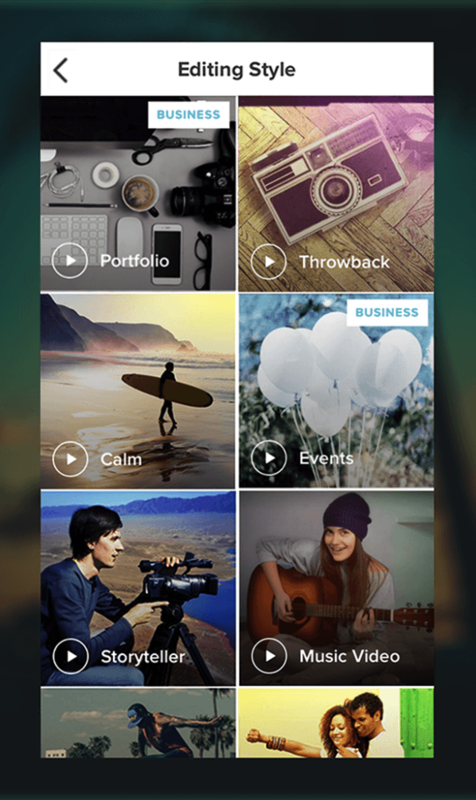 PicPlayPost is a simple app that lets you do exactly that. Just remember that the sound from both videos will play at the same time, so be sure they won't clash with one another. 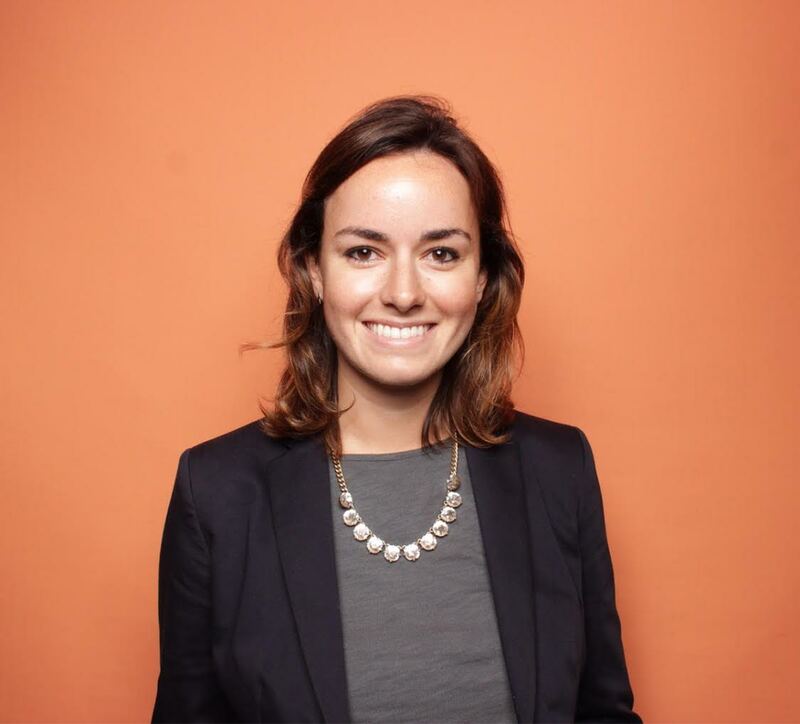 There are many uses for a video collage app, but my colleague, Lindsay Kolowich, particularly likes the way fitness professional Melissa Made uses it on her Instagram account. She posts video collages with her performing a workout on one side, while she explains the workout out loud on the other. Although the video editing services below do not offer mobile versions, they do offer easy-to-learn functionality at minimal cost. These apps are the best for sitting down at your computer and editing amazing video content for your YouTube channel. 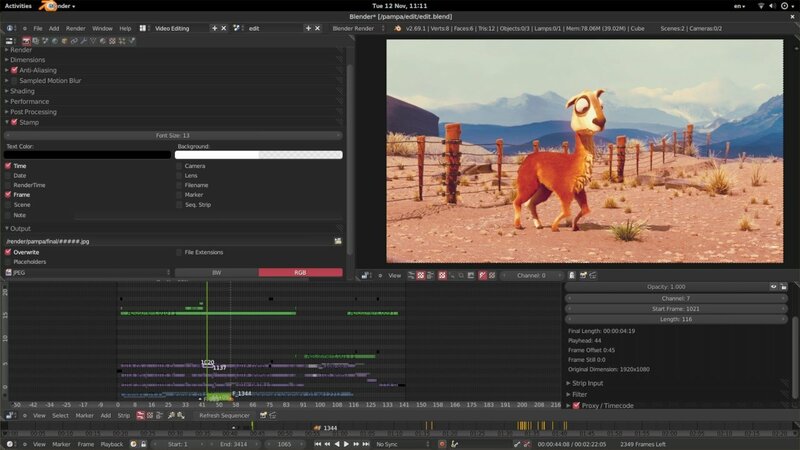 The open source program Blender is more than just a video editor: It's a full-blown 3D animation suite, which allows for modeling, rendering, motion tracking, and more. On the video editing side, there are a ton of features, including transitions, speed control, filters, adjustment layers, and more. There are also 32 slots available for adding video clips, audio clips, images, and effects, which means you can produce some incredibly complex video. Like Blender, Lightworks is definitely on the more advanced (and powerful) end of the video editing software spectrum. In fact, it's a program that's been used to edit some well-known and award-winning films, including Pulp Fiction, The Wolf of Wall Street, and The King’s Speech. 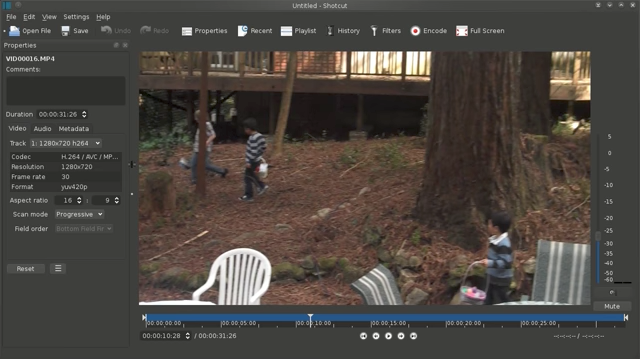 Shotcut is another open source video software -- and it's completely free. 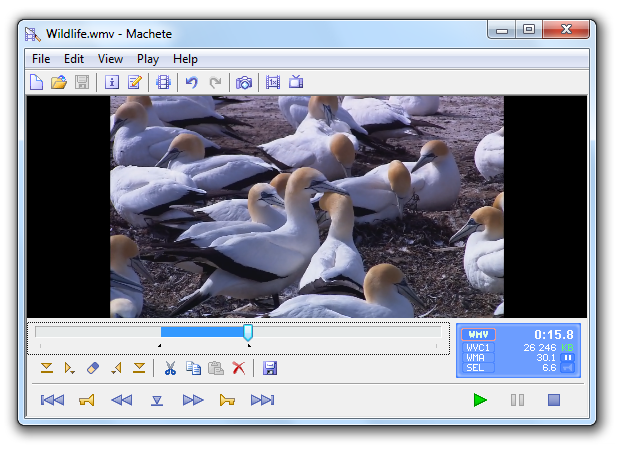 It's possible to use Shotcut to create professional-looking videos, but the interface is tricky to use. Perhaps that's because it was originally developed for the Linux platform, which looks and feels a lot different from the typical Windows or Mac UX. With dedication -- and time spent in the Shotcut frequently asked questions and how-to guide sections -- it's possible to use this software to create and export high-quality videos, completely for free. Unfortunately, there is one catch. If you want technical support, you need to pay. (And because there is a bit of a learning curve, there's a good chance you'll need to.) 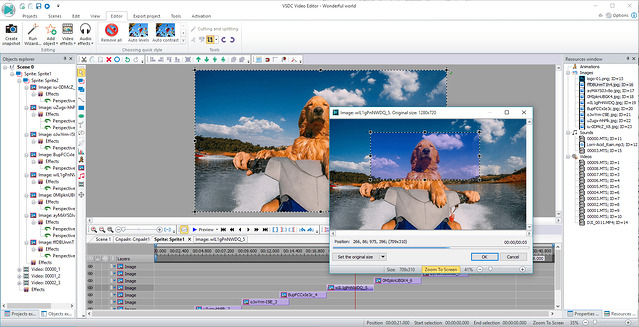 Support for the VSDC Free Video Editor costs $9.99 for one month and $14.99 for one year. At the simple end of the spectrum is Machete Video Editor Lite, a free program allowing you to cut, copy, and paste different sections of video. As the Machete website puts it, Video Editor Lite was "designed for quick and simple 'slicing' of your video files." The program's intuitive interface means you won't have to waste time shuffling through technical support documents. And because Video Editor Lite doesn't re-encode your video files when you slice them, you don't have to worry about losing video quality. The main downsides to the program? It only supports the AVI and WMV video formats, and it doesn't allow for audio editing. Still, if you have zero video editing experience and only need to make simple edits, it's a great option. 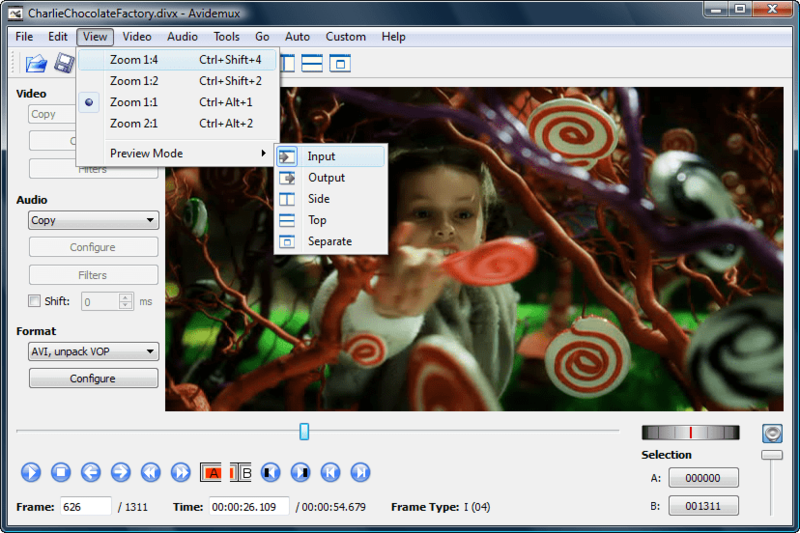 Like Machete Video Editor Lite, Avidemux allows you to do basic video editing (no audio editing) without having to worry about loss of video quality. But Avidemux also has a few more tricks up its sleeve. For starters, the program supports multiple video formats, including AVI, DVD, MPEG, QuickTime, and MP4. What's more, Avidemux comes with several filters that allow you to perform a host of different functions, from flipping and rotating clips, to adding subtitles, to adjusting colors and brightness levels. And while the learning curve for Avidemux is slightly steeper compared to Machete Video Editor Lite, the upside is that there's an extensive Avidemux wiki that covers everything you need to know. HitFilm Express is a free video editing and visual effects software -- which means you can use it to add more than 180 special effects to your videos, including 3D editing. Possibly the coolest HitFilm feature is its wealth of tutorial videos -- users can practice applying special visual effects in movie tutorials based on Star Wars, Westworld, and more. 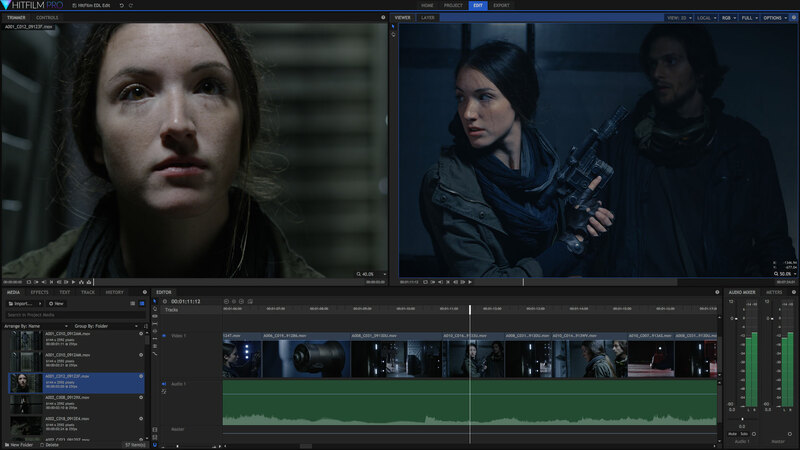 Of course, upgrading to HitFilm Pro grants access to more visual effects, better high resolution and 3D rendering, and better audio syncing between audio and video files. It costs $300, but if you're not ready to fully invest, HitFilm Express users can purchase lower-cost expansions to use more tools in their software. To see the complete list of differences between HitFilm Free and Pro, check out their "Compare Versions" page. Want to learn more about video editing? Check out the best editing apps for photos. Online video content isn't just watched more -- it's expected more. Luckily, you have the 15 video editing tools above to help you. And the sooner you download one, the sooner you can sharpen your audio/video skills. Grab the guide below to make the video learning curve easier.